Sweet and sour in taste & good for health. This dish is common among village people. I learnt it from my grandma. Scrape the outer skin of ridge gourd and remove the seeds. Chop the inner green portion alone. 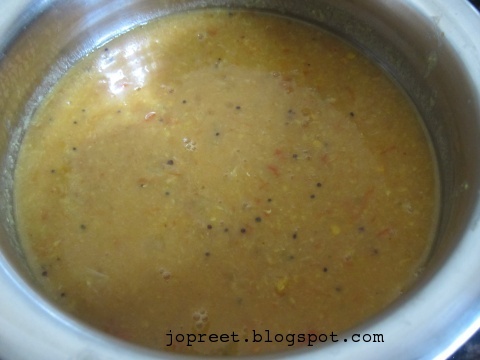 Take a pressure cooker and add all the above said ingredients except salt and mustard seeds. Add 1/2 cup water and close the lid. Heat the pressure cooker and let it cook for 3-4 whistles. Once pressure settles down, open the lid and mash the mixture to smooth paste. 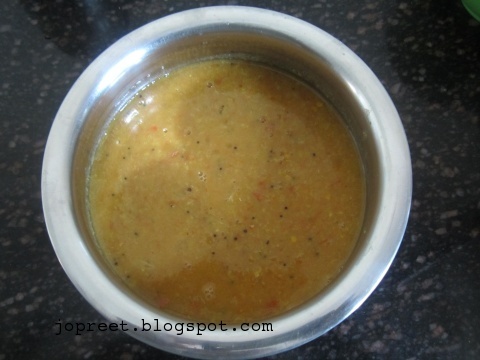 Heat oil in a kadhai and temper the mustard seeds. Add the smooth mixture and water if necessary. Add salt to taste and let it boil. Remove from the fire and serve with steamed rice. Have never heard of this dish! But with the added spices it must be good. Thanks radha for your valuable comment.